Comfortable and wide room. Rich breakfast. Good location near the city centre and in the middle of a garden. Clean hotel and excellent breakfast. Near tourist attractions. It is a nice place to stay, but for some older people it may be a very long walk(A LOT of steps!) The number we had was big and clean, the breakfast was rather good. The gate back out of the property as I couldn't wait to get out of the place!! Sorry.. Friendly staff but not all of them speak English. Romantic location. Good breakfast, Free WiFi. Super nettes Personal !!! Frühstück wurde für mich ganz alleine gemacht !!! Top Lage für Sightseeing !!! Schön zentral Gute Läufer können gleich vor der Haustür Bergauftraining Starten !!! Die Lage war ca. 1 KM vom Zentrum entfernt. Im Sommer sicher ein super Ausblick auf die Stadt. Preis Leistung ist in Ordnung. Hotel Goldgrund Meissen This rating is a reflection of how the property compares to the industry standard when it comes to price, facilities and services available. It's based on a self-evaluation by the property. Use this rating to help choose your stay! 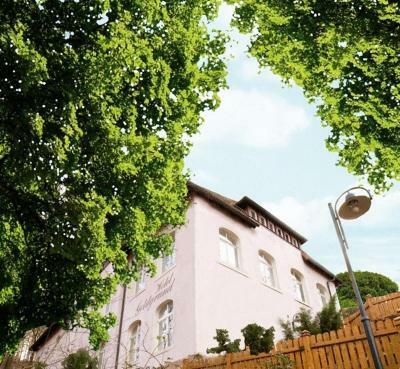 The Hotel Goldgrund is located in Meißen, just a 5-minute walk from Meißen Triebischtal Train Station. It offers quiet rooms and a beer garden. The rooms at the Hotel Goldgrund Meißen have a private bathroom, a mini-bar and Wi-Fi. 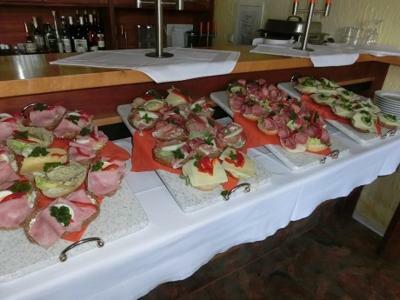 The Goldgrund offers a large breakfast buffet each day. Further facilities at the Hotel Goldgrund include bicycle storage and free parking spaces. Meißen's historic Old Town district and Meißen Cathedral can be reached in around 15 minutes on foot. 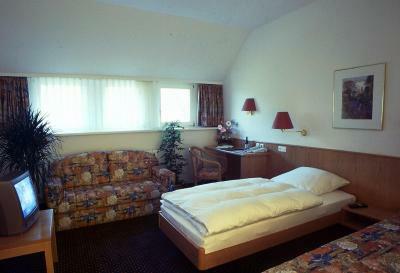 When would you like to stay at Hotel Goldgrund Meissen? Homelike room features a TV, work desk and mini-bar. House Rules Hotel Goldgrund Meissen takes special requests – add in the next step! Hotel Goldgrund Meissen accepts these cards and reserves the right to temporarily hold an amount prior to arrival. About 30 stairs from parking to hotel. Wifi very very bad. 75 steps from the parking place. No lift. Breakfast without cakes. Part of the staff doesn't speak English. Poor sign points to get to the hotel... Went in by mistake to a private building as a result... Then of course the steps to get to the reception, no lifts available, are absolutely ridiculous!!! On top of that we had to carry a 3 week holiday luggage packaging all the way up those stairs!! The breakfast was way below standard, only scrambled eggs available as a hot, supposed to be, meal with a couple of different cold meats... Very small room, small television with 5 channels!! €100 for one night!! Long stairs from parking lot to the reception. The hotel is not suitable for disabled people nor parents with small children with pram: the only access to the hotel is via long stairs (70+ steps) with no elevator. Not all the staff speak English. 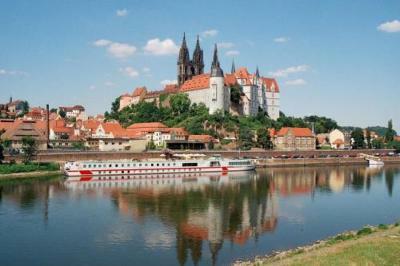 The hotel is 15+ minutes from Meissen centre with restaurants etc. but in the hotel itself was no restaurant except for breakfasts. The hotel is located behind the railway, it could be extremely hard to find it without GPS navigation as entrance road is a small one (and the road from up of the hill is very narrow and steep). 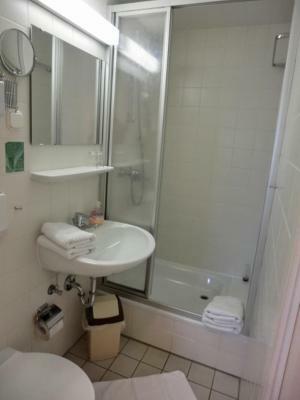 Comfortable bed, clean bathroom, kind personal.